This photograph shows a view of Kansas Avenue between Main and Washington streets in Norton, Kansas. 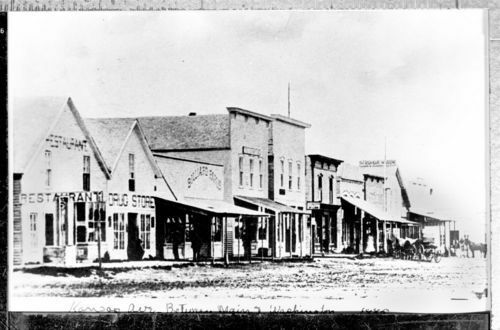 Businesses visible are a restaurant, drug store, billiard parlor, and a building with a sign reading, "The Kansas Wagon." Holding Institution: Mrs. Amy Lathrop, 1959.